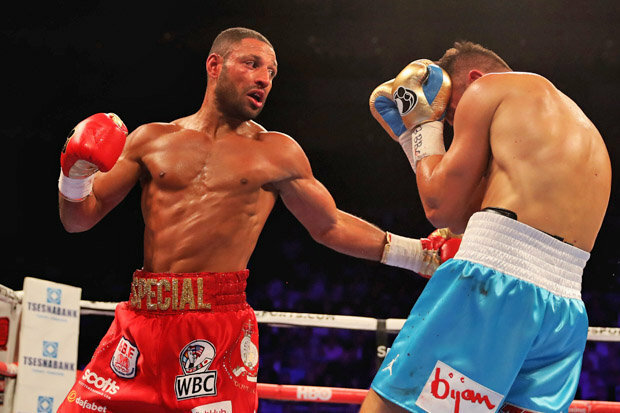 KELL BROOK will undergo an operation on Monday after suffering a broken eye socket in his thrilling clash with Gennady Golovkin. The Sheffield fighter was pulled out of the fight in the fifth round by trainer Dominic Ingle as Kazakh destroyer lashed in a number of shots unanswered. Brook, 30, was obviously struggling after finding the power of Golovkin too much following his move up to middleweight from welterweight to face the WBC, IBF and WBA champion. But Ingle was also aware his man had suffered a suffered a serious injury in the second round and needed to protect him. Brook went straight to hospital after the fight for scans and the results have shown he picked up a broken eye socket in the cracking encounter that had fans on the edge of their seat. Brook has vowed to bounce back and will assess his options over the coming weeks.